Herbalife Philippines General Manager, Rosalio T. Valenzuela and Philippine Rugby Football Union Inc. President Rick Santos sealed the news sports partnership via a contract signing ceremony held at Herbalife’s corporate office. 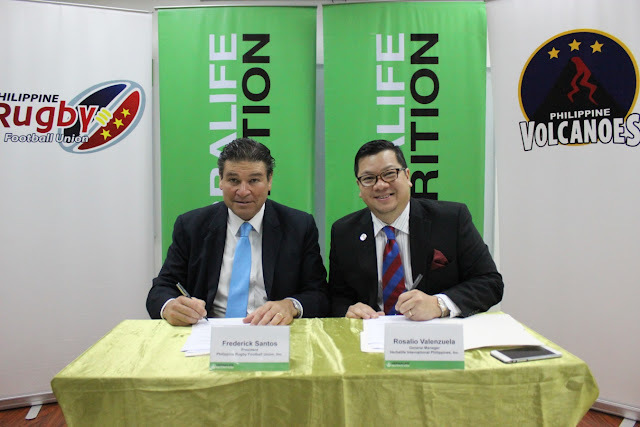 MANILA, PHILIPPINES (APRIL 10) – Global nutrition company, Herbalife Nutrition proudly announces its newest sports partnership with one of the most exciting team in the local sports scene to date, the Philippine Rugby Football Team-Philippine Volcanoes. Series competition in Qatar. Currently, the team is ranked first in the Southeast Asia (SEA) after bagging the gold medal in the 2015 edition of the SEA Games.